About: Completely remodeled by renowned DHD Architecture, the home features exposed red-brick walls and wood plank flooring throughout. 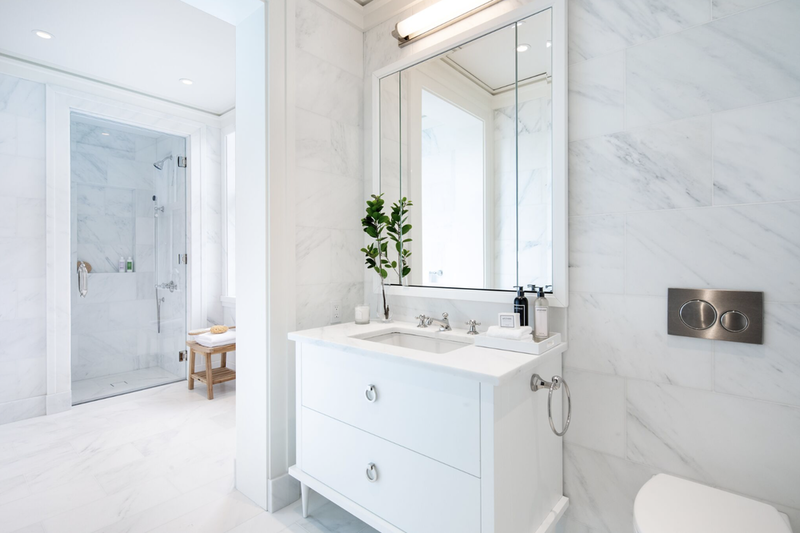 Thoughtful open plan design is maximized in the generously proportioned Great Room which presents protected views of the West Village, the Empire State Building, and the towers of Millionaire’s Row. 10 foot ceilings and oversized windows with East & South exposures allow tons of natural sunlight to flow through the home. Vaulted beamed ceilings, track lighting and a structural column add architectural flair. A large 20’ long south-facing balcony affords Western exposures of the Hudson River to this corner unit. 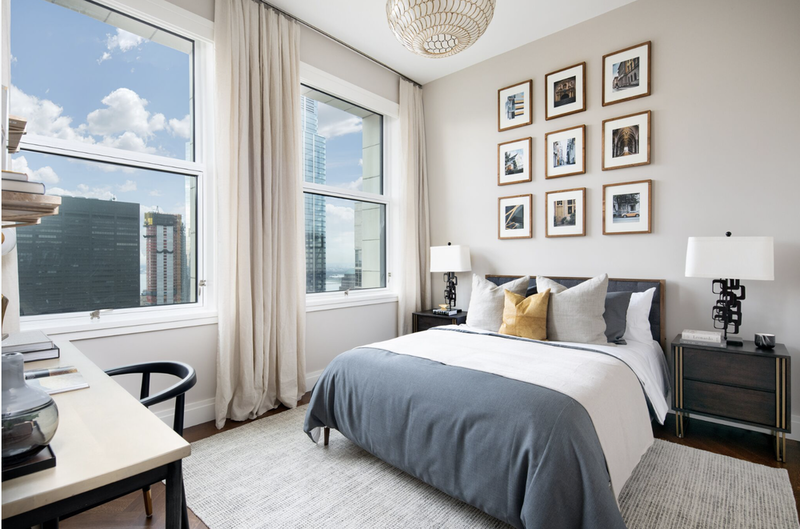 The master bedroom features Somfy blackout shades and views over the West Village, to the ethereal “Tower of Light” of the landmark Consolidated Gas Building. Pocket doors lead you into a generously proportioned walk-in-robe with his and her custom closet with built-ins. The open chef’s kitchen with Caesarstone counters and breakfast bar is fully-equipped with high-end stainless steel appliances including a Liebherr refrigerator, Miele dishwasher and Miele hood, while the range is a 6 burner gas DCS by Fisher & Paykel. 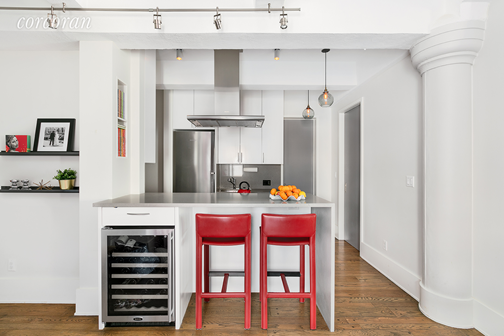 A 45 bottle wine refrigerator and a garbage disposal and an extremely quiet insinkerator add further convenience. 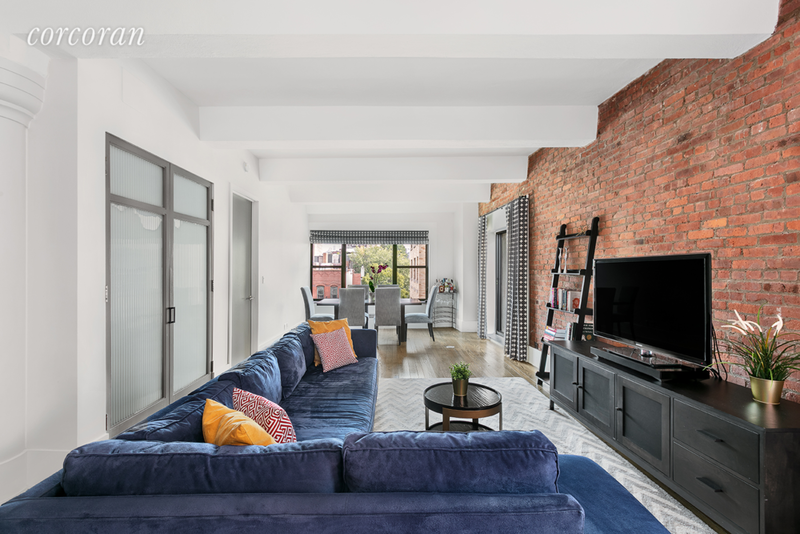 About: This residence offers all four exposures with sweeping city and river views, an eat-in kitchen highlighted by views of the Manhattan skyline, over 10 foot ceilings, and solid oak herringbone floors throughout. Exquisite finishes are designed by Thierry Despont. Amenities include a private resident's only lobby with coffered ceiling that has been skillfully restored and relocated from Frank W. Woolworth’s private office, the Gilbert Lounge and entertaining area, Wine Cellar and Tasting Room, Fitness Center, and rounded out by the Woolworth Pool, a fifty-foot lap pool, originally commissioned by F.W. Woolworth and reimagined by Thierry Despont, is an elegant residents-only retreat, finished in Bisazza Mosaico.